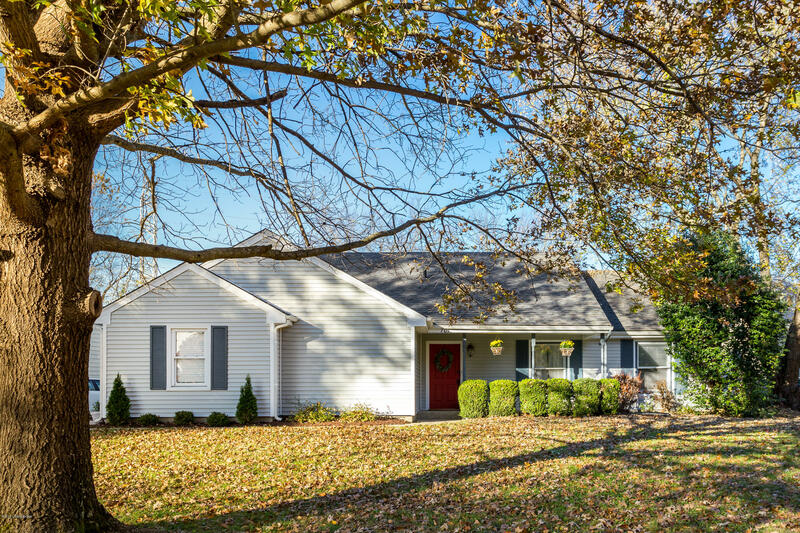 This charming ranch overlooks Warwick Park and is conveniently located close to 264, Westport Village, and Oxmoor Mall! A beautiful, beamed, vaulted ceiling is showcased in the living room which features a wood burning fireplace and is open to the dining area and kitchen. A new roof (2017), one year home warranty, professionally painted interior (2015), an attached garage, and a master bedroom with double closets and master bath are just a few of the reasons to schedule your showing today!